← Is the ICC Racist? According to several news agencies the Darfurian rebel group Justice and Equality Movement (JEM) has taken about 50 peacekeepers of the joint UN/AU Mission UNAMID hostage in Darfur on Sunday, 19 February 2012. The speaker of the movement, Gibril Adam Bilal, declared that JEM had arrested the peacekeepers for failure of asking for permission to enter a region controlled by the JEM in north-western Darfur. Additionally, he accused the peacekeepers of having travelled with three agents of the Sudanese secret service. Like every peacekeeping mission, UNAMID is neutral. It was originally stationed in Darfur as a purely African Union (AU) mission, AMIS. Its mandate was last renewed for one year through Resolution 2003 in July 2011, under protest by the Government of Sudan that would prefer to solve the Darfur crisis internally. Despite its neutrality UNAMID has been caught between the fronts of the conflict parties several times. It is constantly subjected to ambushes and attacks by bandits, militias affiliated with the Sudanese government, as well as rebel groups. Only recently, two UNAMID soldiers were wounded in an ambush by unknown gunmen. The fact that UNAMID has not been able to effectively monitor the situation in Darfur due to the lack of security and its failure to ensure that the conflict parties respect its mandate and cease their attacks on the mission are part of the reason why the conflict in Darfur has become intractable. 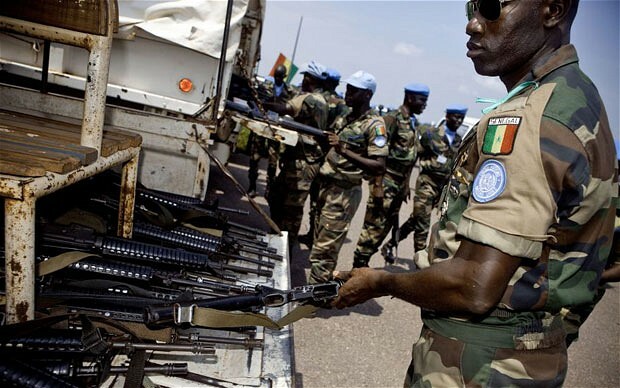 It is no coincidence that it was JEM that abducted the UNAMID peacekeepers, reportedly largely hailing from Senegal. There have been raising tensions between rebel groups like the JEM and internally displaced persons in Darfurian camps on the one side, and the AU and UNAMID on the other side. 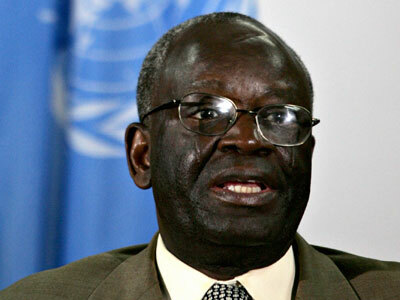 During his tenure as the UNAMID head of mission Ibrahim Gambari has been personally accused by rebel groups and IDPs that he is lacking neutrality and has been supporting the new Government of Sudan’s approach to achieve ‘peace from within’ in Darfur. Various rebel movements and IDP leaders had repeatedly asked Gambari to step down. Tensions with the IDPs came to a head when Gambari declared that the security situation in Darfur had improved considerably, a statement that caused rage among IDPs still living in camps unable to return to their home villages due to the prevailing insecurity. Partly because of these reasons Ibrahim’s tenure has been criticized in media outlets like Foreign Policy. The accusations brought forward by JEM that the UNAMID peacekeepers were moving with Sudanese spies fits into the picture of growing disagreements between UNAMID and the rebels who accuse the mission of not being neutral. Additionally, the Chairman of JEM, Khalil Ibrahim, was killed in an air raid by the Sudanese Air Force in late December 2011. Ibrahim had been one of the faces of the Darfur rebellion, appearing, for example, in a long TV interview with al-Jazeera Arabic. His death was a heavy blow to the JEM and taking the peacekeepers hostage can be seen as an attempt to remind the world of the Darfur issue and show that the JEM remains a relevant force in Sudan. This is where the International Criminal Court (ICC) comes in. The UN Security Council referred the situation in Darfur to the ICC in March 2005. The mandate of the prosecution is now to investigate all crimes that fall under the ambit of the Rome Statute and are of sufficient gravity (the gravity criterion was introduced by Chief Prosecutor Moreno-Ocampo as part of the overall strategy of the Office of the Prosecutor (OTP)). It is the policy of the OTP to cover all types of crimes committed in a particular situation within its investigations. Accordingly, the prosecution opened a case against members of the National Resistance Movement (NRM) rebel group for attacking the AMIS camp in Haskanita in 2007. 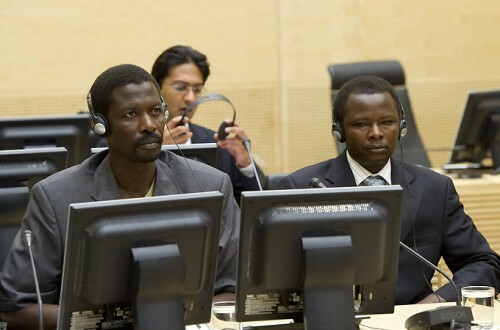 Rebel commanders Mohamed Jerbo Jamus and Abdallah Banda Abakaer Nourain presented themselves voluntarily in the Hague and are currently on trial for the attacks. Unsurprisingly, their defense strategy focuses on questioning the neutrality of AMIS in Darfur, claiming that the peacekeepers where supplying the Government of Sudan with coordinates of the rebel forces to support the bombing campaign of the Sudanese Air Forces. The Haskanita case is the ICC’s attempt to cover the attacks on AMIS and UNAMID in its investigations in Darfur. It is supposed to set an example and clearly show that attacks against peacekeepers are a war crime and will be prosecuted accordingly. Unfortunately the prosecution of the alleged perpetrators of the Haskanita attack has done little to stop the attacks against the peacekeepers or instill respect for their mandates among the warring parties. Even though the holding of UNAMID members by JEM as such does not amount to a war crime, it serves as a reminder that the problem of a lack of respect for the peacekeepers among the conflict parties still exists. It remains to be seen if the trials of Jerbo and Banda can instill some sort of deterrence in later stages of the process, but the spread of banditry targeting UNAMID and UN agencies warrant skepticism regarding a deterrent effect of ICC prosecutions in this context. UPDATE: As of Tuesday, February 21st the JEM has now released the 49 UNAMID members they had taken hostage while keeping the three alleged Sudanese ‘agents’ in custody. UNAMID reports that JEM released the peacekeepers when they found themselves surrounded and vastly outnumbered by UNAMID reinforcements. This entry was posted in African Union (AU), Darfur, ICC Prosecutor, International Criminal Court (ICC), Sudan, UN Security Council, War crimes and tagged Darfur, Gambari, Haskanita, hostages, ICC, JEM, peacekeepers, UNAMID. Bookmark the permalink. Interesting Post, We have experimented with to make clear twelve common criminal legislation concepts which will give you a far better knowledge of some of the strategies you would really need to master if pondering a occupation in criminal law.